A new year always inspires a desire for change. One of the easiest (and surprisingly dramatic) ways to give your home an updated look and feel is by changing up the lighting. 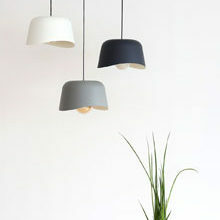 Lighting can make or break the look and feel of a room and by simply swapping out an old lamp for a more contemporary design can instantly freshen up a space or create ambience. 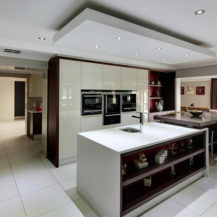 If you’re thinking about changing the lighting in your home, here are some of our favourite lighting trends to look out for in 2019. 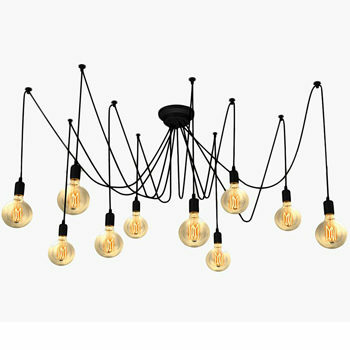 Lights made from natural textures and raw materials were very popular in 2018, and this year is no different. 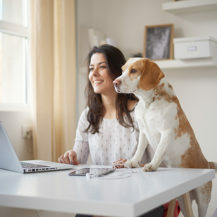 Thanks to an increasing awareness of the environment and a growing trend towards green living, we’re seeing more and more designs that feature natural materials. 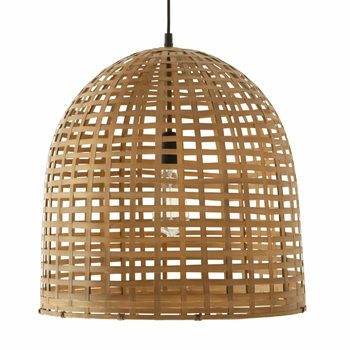 Give your space an organic, grounded feel by incorporating luminaires featuring elements of concrete, marble and wood, like this wooden pendant from the Lighting Warehouse. 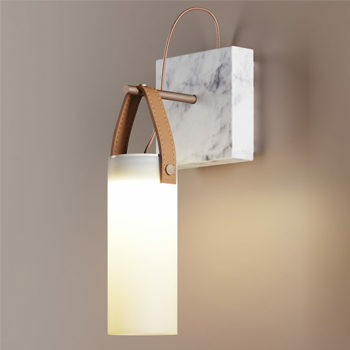 Marble is still being used for various applications in the home, including lighting. 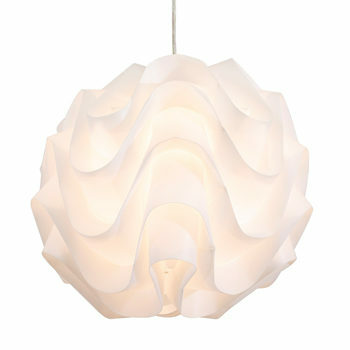 Whether it’s a lamp with a marble base or a spherical marble pendant, this medium isn’t going anywhere soon. 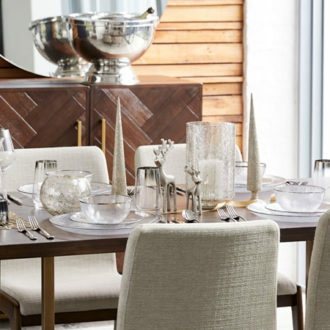 Soft curves, playful silhouettes, and sparkly details… lights that add a touch of romance to a room are set to be big in 2019. However, don’t think that this trend only has a place in the bedroom. 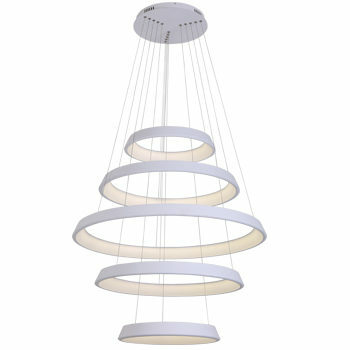 In fact, these lights are ideal for the lounge and dining room, where they easily create a relaxed feel. 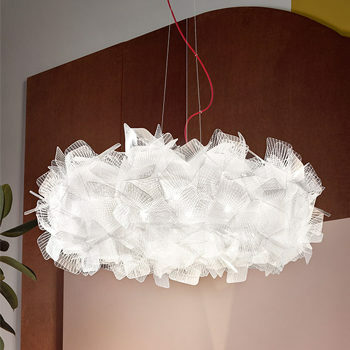 This hanging light features a ruffled design, covered in tiny pixels. 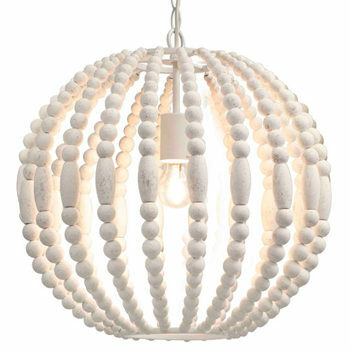 From the bathroom to the bedroom, chandeliers look right at home in any room of the house. It’s all about choosing the right design for your space. 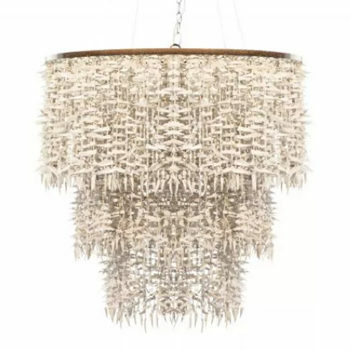 Whether it’s metal, beaded, glass or a mixture of materials, we’ll be seeing plenty of chandeliers this year (and probably for years to come). 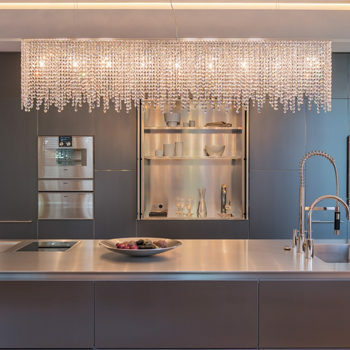 This chandelier of cascading crystals is simply breathtaking. 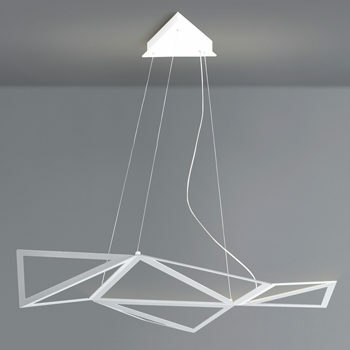 You can even opt for a slightly more industrial-looking chandelier, combining two popular trends in one. It’s inevitable that, just as we have nostalgic nods back to styles from the past, there will always be ultra-modern designs and hints at an era still to come in the not-so-distant future. Sleek shapes, independent movement and metallic finishes prove that when it comes to interior design, we are only limited by our imagination.